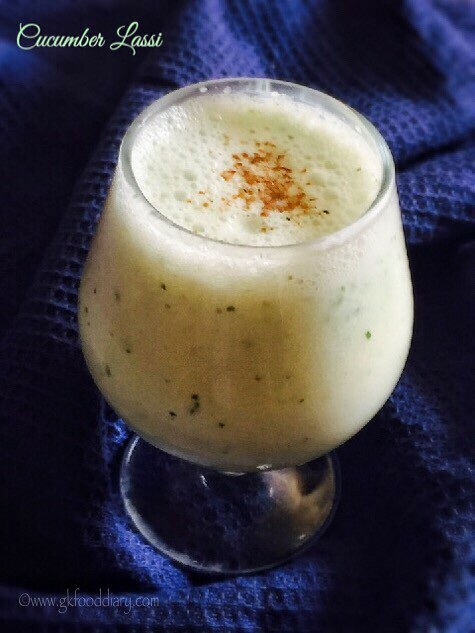 Cucumber lassi is a bliss for hot summers. Summer has already set in most of the places and left us thirsty all the time. Hence tried this cucumber lassi and we absolutely loved it including the little one:) This cucumber lassi (in small quantity) is ideal for babies from 10 months after introducing cucumber separate. 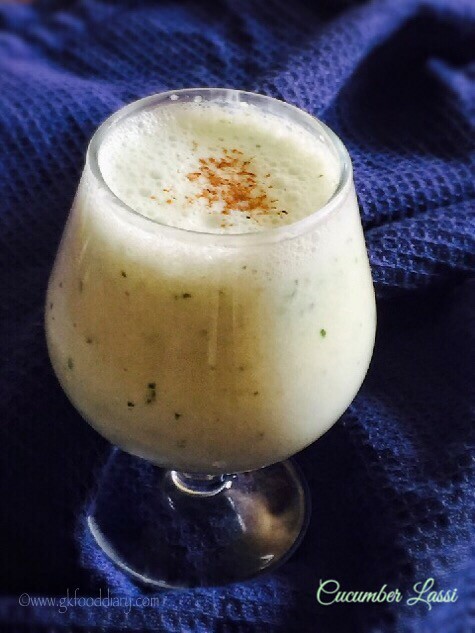 Check out the other lassi/smoothie recipes made with curd from my archive. Cucumber can be introduced to babies diet after 8-10 months as mashed or tiny cut cucumber as finger foods. Cucumber might create gas in some babies and hence its always advisable to use it with little hing or cumin seeds/powder. 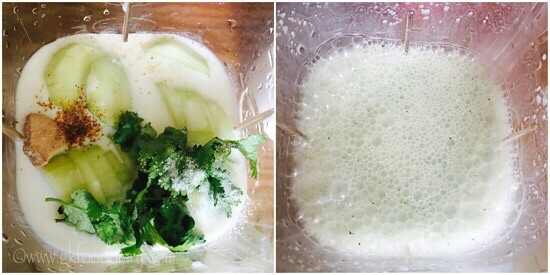 Here is how to make easy cucumber lassi for babies, toddlers and kids. Keep all the ingredients ready. Wash the cucumber in running water thoroughly. Peel the skin completely and cut them into slices. Remove seeds. Beat the curd well with a whisk and add water. Keep it ready. Then take the chopped cucumber, curd/yogurt, cumin powder, hing, ginger, coriander leaves and salt(if using) in a juicer/blender. Blend it till frothy. 1. Keep all the ingredients ready. Wash the cucumber in running water thoroughly. Peel the skin completely and cut them into slices. Remove seeds. Beat the curd well with a whisk and add water. Keep it ready. 2. 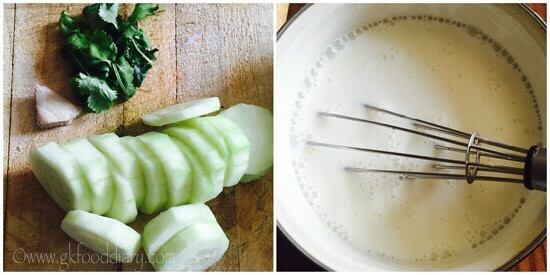 Then take the chopped cucumber, curd/yogurt, cumin powder, hing, ginger, coriander leaves and salt(if using) in a juicer/blender. Blend it till frothy. 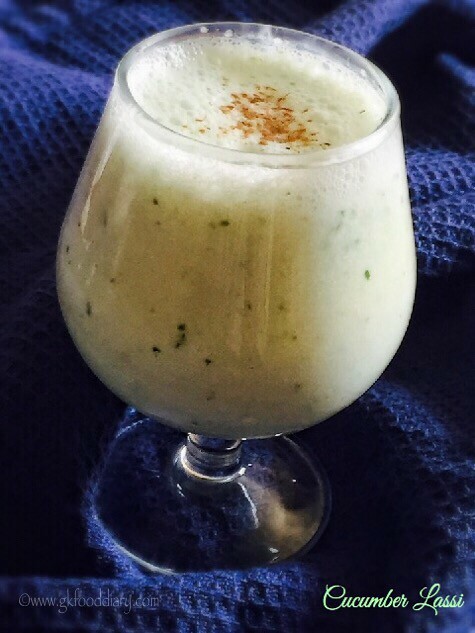 The cucumber lassi is ready. Serve chilled !!! You can skip water and make it with curd alone to get a thick creamy smoothie. You could skip ginger for small babies if they can’t tolerate it. 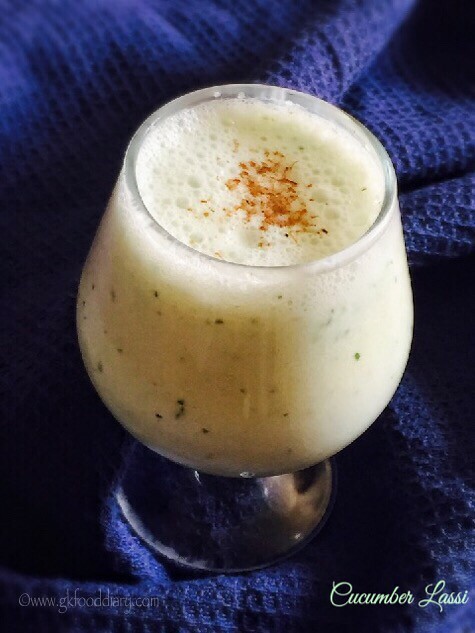 Make sure to introduce cucumber and curd/yogurt separate before you try this cucumber lassi. 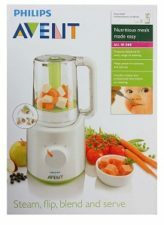 For babies below one year, prefer juices, smoothies and soups occasionally as that might replace breastfeed or formula feed.